Sorry, no matches on eBay for "Samar Yasmine Hamdan". Sorry, no matches on iTunes for "Samar Yasmine Hamdan". 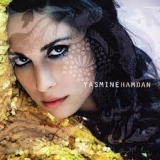 by Yasmine Hamdan featuring EASY & C.O.U.